1. If you're starting a thread, capitalize properly. 2. If you're responding, proper spelling, capitalization and grammar is expected. 3. Your posts don't have to read like they're out of a doctoral thesis, but a well written point carries more weight than a poorly written one. I know that we have a lot of non-native English speakers on this site. The intricacies of the English language sometimes lead to confusion with the usage of a few key words. The difference between those sentences is the difference between eating and eating your grandmother. We're not going to go crazy about this, but if you know how to use proper punctuation, please do. If you do know how to properly use punctuation, and you're not, I would tell you that parading ignorance isn't going to help you advance a point in a discussion. If anyone is wondering, this post isn't directed at anyone in particular, as this is a site wide issue. In reading the forums recently, I feel like we've taken some steps back with regards to spelling, capitalization and grammar. The most common mistakes that I see are easily fixed; confusion between they're, there and their, your and you're and capitalization of titles. When you're creating a new thread, please properly capitalize the title. Next up is the common confusion between there, their and they're. I'm there from 9-5 on weekdays. I only go there when I want to be there. It's their right to say that. It's their third try at starting a small business. They're going to go to the amusement park today. They're not as wealthy as you'd think they are. They're a lot younger than I thought they were. Next up we have the confusion between your and you're. It's your first try at bungee-jumping, right? You're right, the movie was excellent. You're running in the marathon today, correct? If you don't know if you should be using 'your' or 'you're', ask yourself; if I used 'you are' in this instance, would this sentence still make sense? If the answer is yes, use 'you're'. If it's no, use 'your'. Next up is the confusion between then and than. We went to the restaurant, then we went to the movies. If we lend your car to your mother then how are we going to get home? I bought a new bed and then I bought new sheets. Fifty dollars is a greater sum than forty dollars. He's a better swimmer than Michael Phelps. He knows better than to do that on TMD. I ate too much cake. I pay too much in taxes. I decided that I wanted to go there too. I went to the party with her on Saturday. I wanted to do something fun. I am going to run five miles when I get home. Names, places and card names are supposed to be capitalized. If you're mid-sentence and you're talking about Dark Confidant, he should be referred to as Dark Confidant, not dark confidant. If you're talking about Italy, then it should be Italy, not italy. Alot is not a word. It never has been. It never will be. Stop using it. What you meant was 'a lot'. 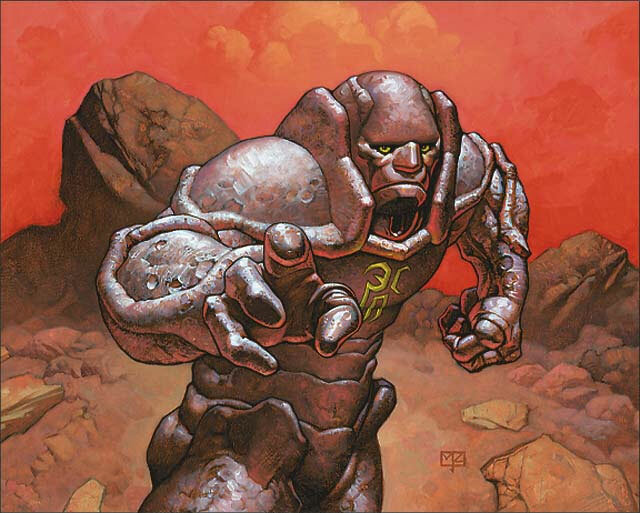 TMD is a website that seeks to advance the ongoing discussion about Vintage Magic. There is a degree of scholarship that is expected. Why is this expected, you may ask? We would like to believe that the efforts that you have put forth are worthwhile. When I read what you have to say, and you haven't given me the courtesy of proper capitalization, grammar and spelling, I automatically discount much of what you have to say because you come off as unintelligent. If you are unable to properly spell through a sentence, why should I believe that you are capable of high-level thought about the game that we all love? There is a great measure of slack that will be cut for all non-English speakers. While we have many non-native speakers on TMD, they do not comprise the majority of members that we have. If you were born in the U.S., you were taught the basics that I enumerated above. You know this. Everyone on TMD is going to be held to these standards (with, to reiterate, slack being given to non-native English speakers). Your posts may be edited by the staff in order to properly conform with TMD standards on spelling, capitalization and grammar.